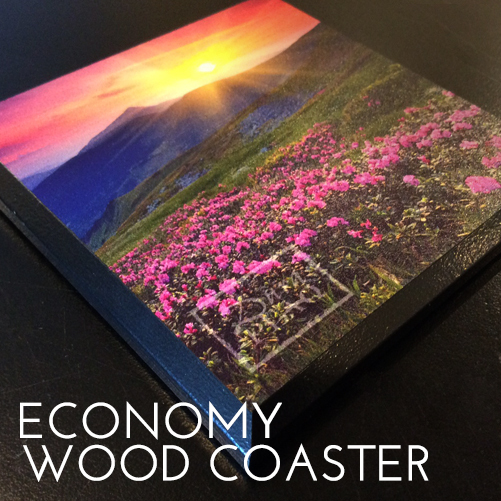 Our Economy Wood Coasters have a slightly softer print than a traditional Fine Art Coaster, but offer a lustrous output at a reduced cost. Images are direct printed with our state-of-the-art, UV-cured printing process that requires no added protection for water-resistant use! 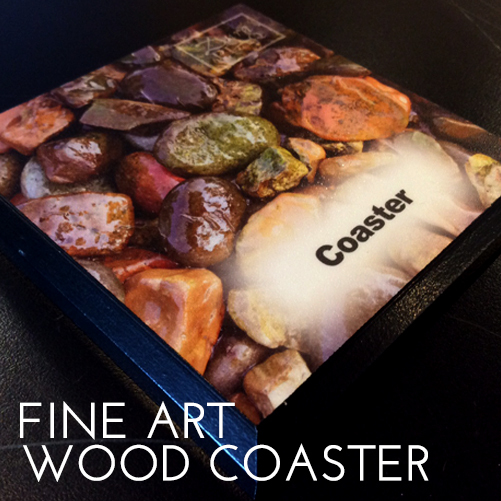 Fine Art Wood Coasters preserve paper prints in a fully acid-free, moisture resistant and UV-protected finish–from front to back! This tabletop essential features a complimentary Satin Paper Print (or your provided paper print), and is mounted to our eco-conscious, 4″ x 4″ x 3/8” wood coaster. 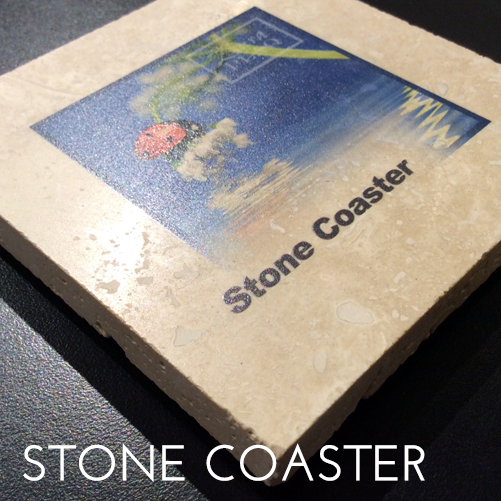 A striking Acrylic/Plexiglass Coaster is an artful statement for any celebration! 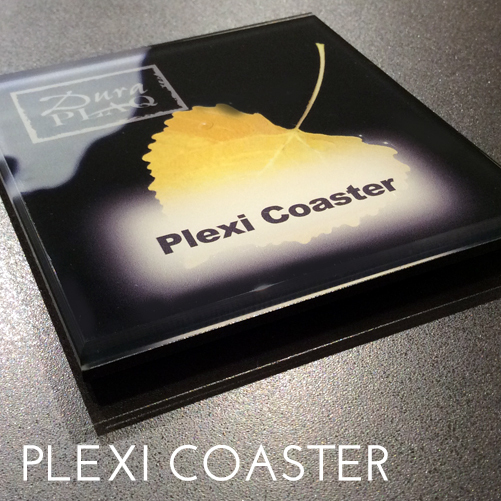 The Plexi Coaster is water-resistant and can be used indoors and out! Clear footer pads are provided on the bottom to prevent surface scratching, lending an added dimension to our popular Plexi Coaster. Send it in the mail, hang it, use it as a coaster or display as tabletop art! 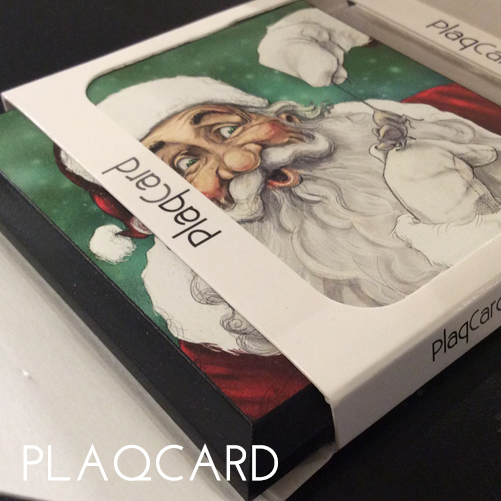 The card to keep, our PlaqCard comes with post-friendly packaging and plenty of space to include a handwritten message to your friend, colleague or loved one! Now you don’t have to be afraid of the dark! 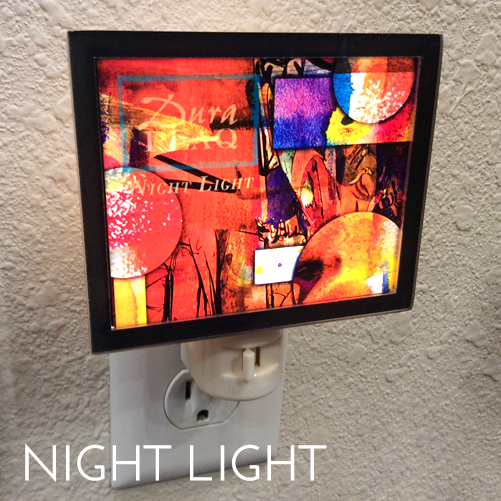 Light up any room with our direct-print acrylic nightlight (bulb included!). Personalize with beautiful graphics, photos, children’s names and monograms for a one-of-a-kind night light to fit perfectly with your décor. The perfect wanderlust accessory! 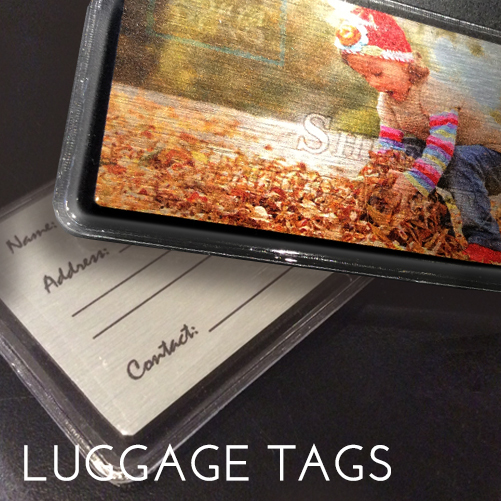 With rounded corners and clear lanyard, our dye-sublimated or direct-print aluminum luggage tags are ready for the trip! Built solid to last with the toughest of cargo carriers, locate your bags with ease with our functional and artful luggage tags! 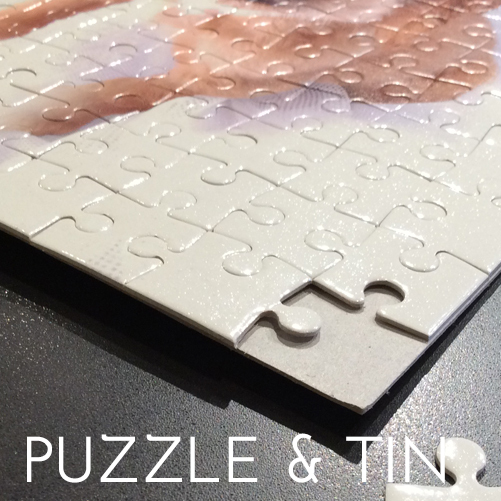 Our Fine Art Puzzle is the perfect photo gift! Your artwork is printed onto a 130-piece opalescent surface. The puzzle backer is white and can be handwritten and customized for a personal touch–perfect for your favorite puzzlers! 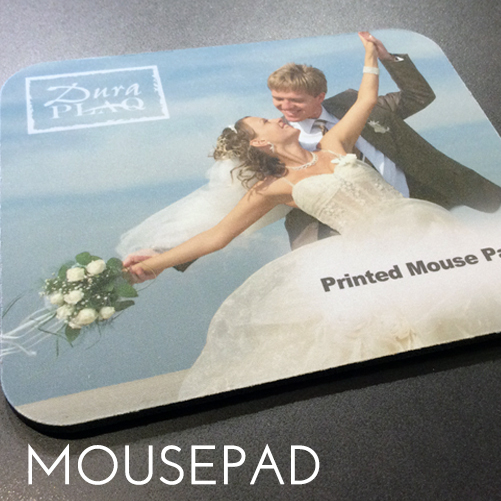 The DuraPlaq® Printed Mouse-pad display art in a playful–yet practical-form! Your artwork is transformed onto a foam-based mouse-pad, perfect for any desktop station–at home, or in office! The non-slip backing features a black rubber coating, and measures 7-3/4” x 9-1/4” to display the perfect desktop photo memory!